I’m back with another fashion feature where I’ve teamed up with Burlington as part of their Burlington Style Squad™! I’m very excited about today’s topic which is bringing Boho fashion into your everyday look. I’ve been a fan of and have worn boho styles for as long as I can remember. The more flowy the shirt, the better right? I actually don’t think ‘flowy’ is a word, but you get what I’m saying. I headed into my local Burlington ready to find all the Boho styles I could get my hands on. I love going in there knowing I can get more for my money, given that their prices are 65% off department store everyday prices. It’s also become one of my daughter’s favorite places to shop – more for her money too! When I think of 70s Boho, visions of faux fur, bell bottoms, ponchos, fringe, lace and flowers come to mind. I’m definitely seeing as I’m out shopping and browsing other fashion related blogs, that this style will be big this fall. I don’t really like going all in, I guess you could say, when it comes to boho, but I do like pulling one or two elements from this style and incorporating it into my every day look. Let’s say you love fringe (me too! 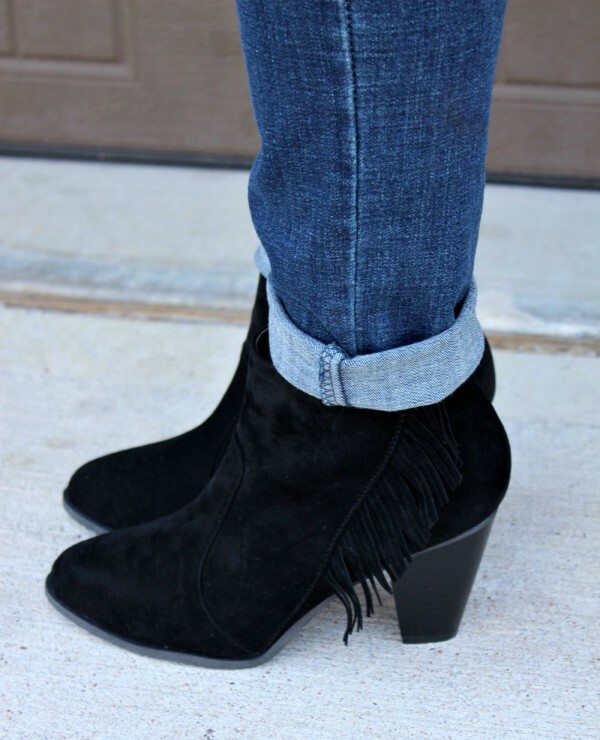 ), rock a killer pair of fringe boots like these. Aren’t these amazing?! I picked these up at Burlington for an unbelievable price and love the way they fit. I’ve worn them with jeans, but they would also look really cute with a skirt. Check out my haul video featuring purchases from my recent trip to Burlington. 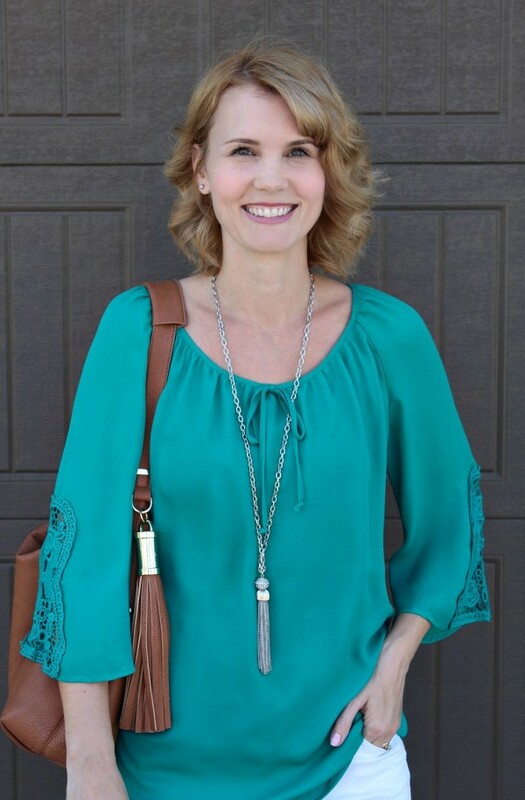 Here are four boho inspired outfits I styled with my Burlington finds. 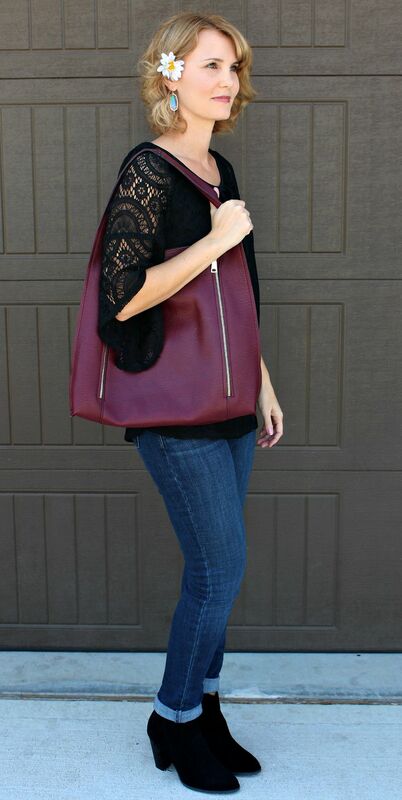 A lace top (Burlington) + skinny jeans + fringe boots (Burlington) + a flower for fun! 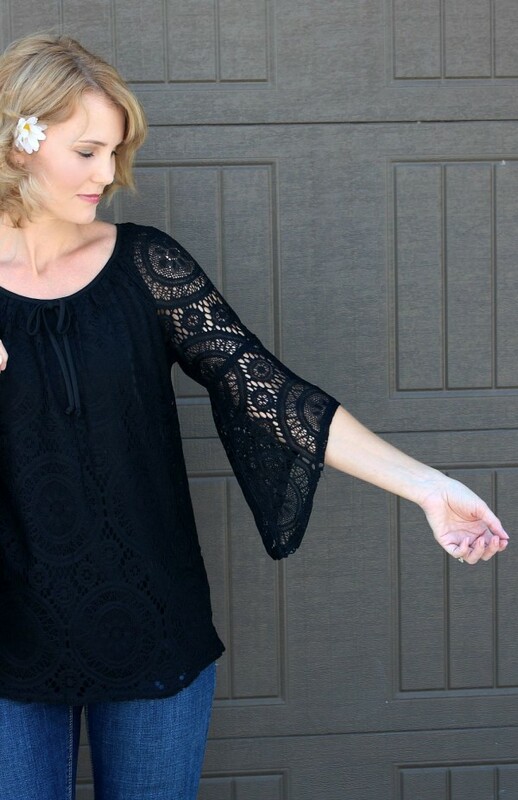 The sleeves on this lace top are just perfect and the lace pattern is beautiful. 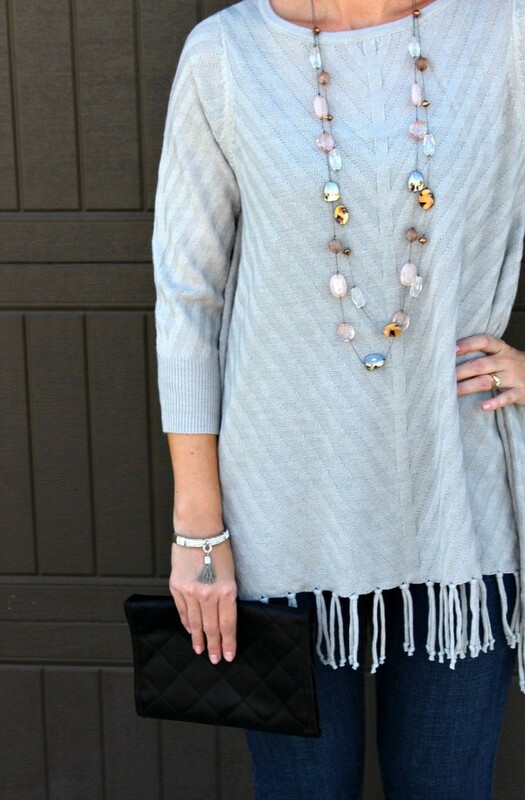 This will definitely be a go-to top for me this fall – with the fringe boots of course! You know I’ve had a thing for ponchos lately right? 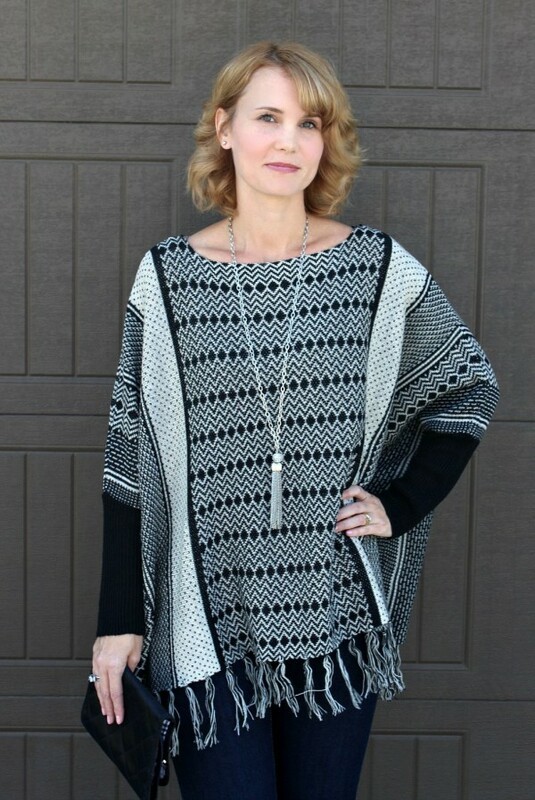 This one can work as a sweater and worn alone (with a tank underneath) or as a poncho to throw over another shirt when the weather is chilly. It’s thin enough to wear in early fall and is so unbelievably soft. 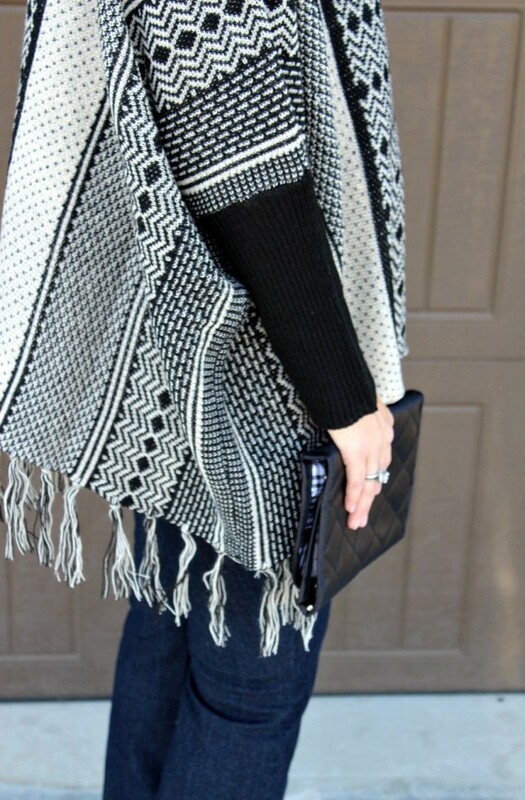 This fringe sweater was a last minute item I snagged as I was headed to the register. I am so glad I ended up purchasing it because it’s comfortable and looks so good with my jeans and boots. My husband said this one was one of his favorites on me. 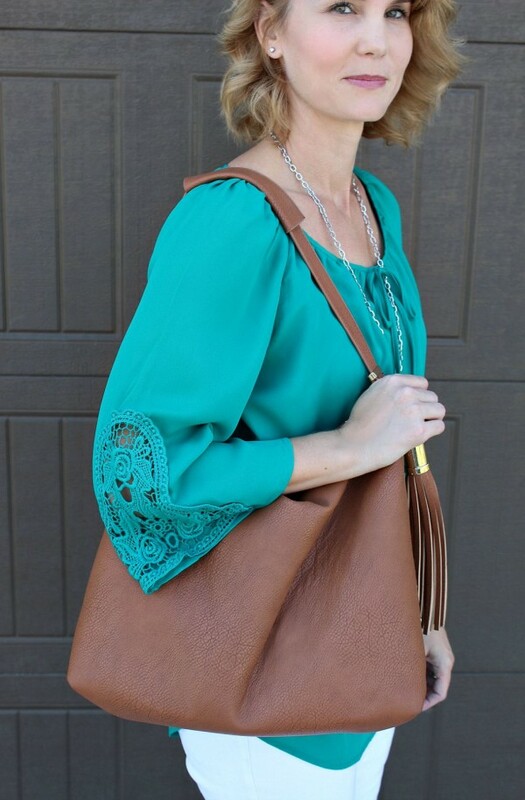 There were two things that caught my attention when I picked up this blouse from the rack – the stunning color and the lace on the sleeves. I instantly knew I wanted to pair this with my white jeans because it really makes the color pop! Which boho outfit for fall is your favorite? Speaking of fall, Burlington has teamed up this season with the Leukemia and Lymphoma Society’s Light the Night Walk (LLS/LTN). This will mark their 14th year of partnership with LLS in fight against blood cancers. How can we help? You can donate $1 or more at checkout now thru December 2, 2015. Go here for more information. For these boho fashion daytime looks and more, visit your nearby Burlington or shop online at www.burlingtonstores.com. So many cute tops! Love those. I couldn’t pick a favorite if I had to.